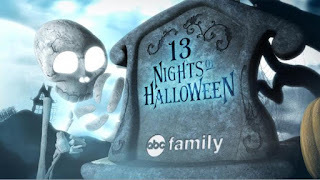 ABC Family scares up the 2015 13 NIGHTS OF HALLOWEEN celebration, with programming filled with scares and frights as you countdown to Halloween. 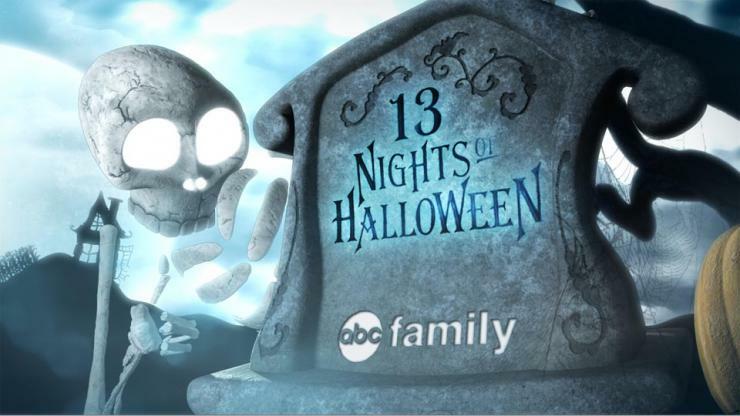 The popular programming event, now in its 17th year, kicks off on Monday, October 19th and concludes on Saturday, October 31st, and features a special Halloween episode of procedural drama “Stitchers.” The stunt will also include the ABC Family premiere of Johnny Depp in “Sleepy Hollow,” the network premiere of “Disney∙Pixar’s Monsters University,” and a delightfully scary mix of Halloween-themed programming airing for the 13 nights leading up to Halloween. The 17th annual 13 NIGHTS OF HALLOWEEN kicks off with back-to-back airings of the final Harry Potter films, “Harry Potter and the Deathly Hallows: Part 1” (1:30 – 5:00 PM ET/PT) and “Harry Potter and the Deathly Hallows: Part 2” (5:00 – 8:00 PM ET/PT). Then everyone’s favorite Halloween sisters from “Hocus Pocus” (9:00 – 11:00 PM ET/PT) deliver the scares. “Tim Burton’s Corpse Bride” (12:00 - 2:00 AM ET/PT) rounds out the evening with an invitation to the creepiest wedding ever! Start the day with a ghostly visit with “ParaNorman” (7:00 – 9:00 AM ET/PT), then you’re invited to the creepiest wedding of the year with “Tim Burton’s Corpse Bride” (9:00 – 11:00 AM ET/PT). Take a trip to Halloween Town to visit Jack Skellington in “Tim Burton’s The Nightmare Before Christmas” (11:00 AM – 12:30 PM ET/PT). Spend some more time with “Casper” (12:30 - 2:30 PM ET/PT) and “The Addams Family” (2:30 – 4:30 PM ET/PT), followed by “Addams Family Values” (4:30 – 6:30 PM ET/PT). Take a ride on “Disney∙Pixar’s Toy Story OF TERROR!” (6:30 – 7:00 PM ET/PT) if you dare! And then go back to school at “Disney∙Pixar’s Monsters University,” (7:00 – 9:45 PM ET/PT). Then spend another witchy late night practicing “Hocus Pocus” (9:45 PM – 12:00 AM ET/PT).